Now onto occlusal caries, which are more often found clinically when small. Here’s the goods. 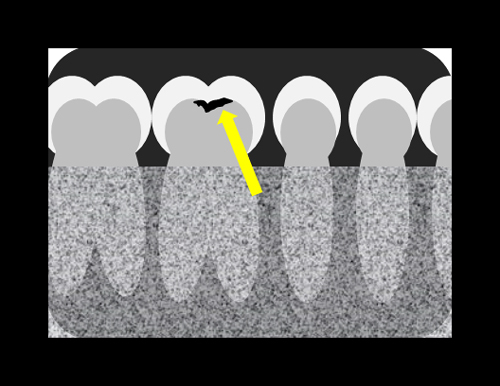 A well-localized radiolucent band/area is seen at the dentino-enamel junction of the occlusal surface. It starts as a band following the junction but as it grows will become more of an area. 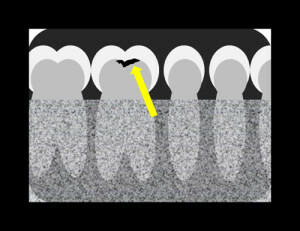 Note the radiolucent area at the center of the dentino-enamel junction of the mandibular first molar indicating occlusal decay. (There’s also a massive round cone cut 🙂 ). If you have any questions or comments, please leave them below. Thanks and enjoy! While these are more ‘routine’ I enjoyed them. We differ too often in caries diagnosis and then in it’s management. So thanks for these. Glad you liked. 🙂 They are more ‘routine’ so to speak but I am aiming for students on these who are just starting out. 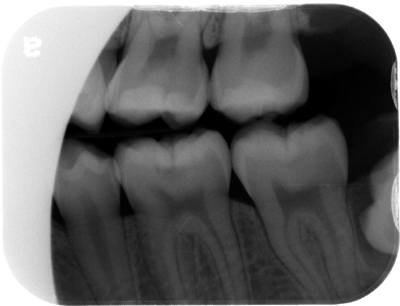 And yes, caries interpretation does tend to be all over the place unfortunately.